Social media is a powerful set of tools, and can facilitate relationships, connect with your customers and build your brand. It can also zap your precious energy, cause stress and lead business owners into a state of marketing delusion. What if it was okay to let certain social media platforms go? 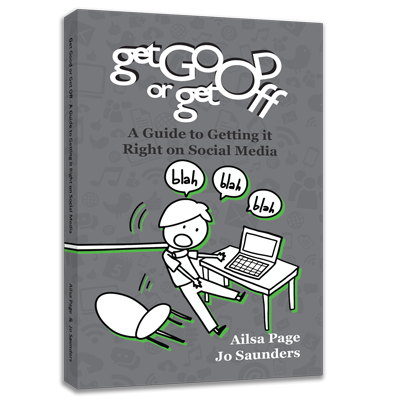 Find out by pre-ordering your copy from Marketing Professionals Ailsa Page and Joanne Saunders. Postage to anywhere in Australia included in this special Advanced Purchase Deal.